The Tour of Tameside which has a series of races on successive days was a popular feature of yesteryear. This year it was reborn after a 14 year gap. 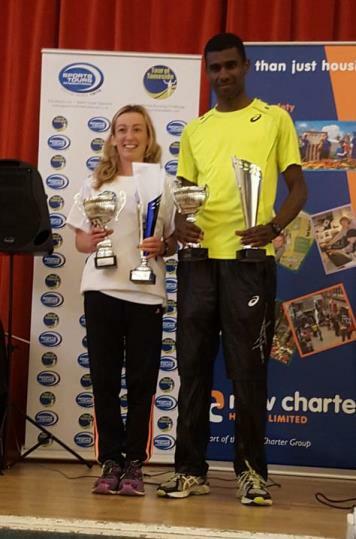 It consists of a 6 mile fell race on the Friday evening, a half marathon on the Saturday and concludes with another 7 mile road race on the Sunday to complete the marathon distance. It is certainly not for the faint-hearted but Liverpool Pembroke Sefton`s Kirsty Longley does not fall into that category. In the Copley Fell Race Kirsty led the female field until the last section when, understandably, she took a cautious approach to the final downhill section and was caught and a passed by Caitlin Rice(Glossopdale Harriers), an experienced fell runner. Their times were 43.41 t0 44.41. The next day for the High Peak Half-Marathon Kirsty was on more familiar territory but blistered in the first few miles. Neverless she dug deep and despite a bloodied foot completed in a respectable time of 1.30.59. Importantly Rice was on 1.33.39 and now some 2 minutes adrift overall. 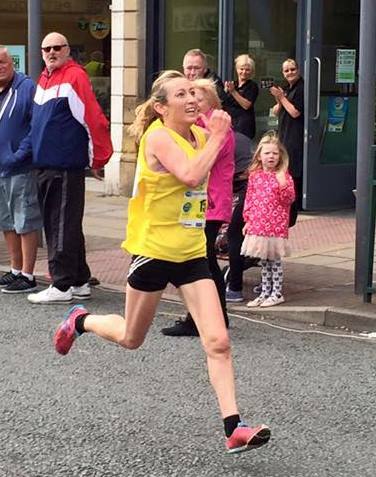 Although tired Kirsty went into the Hyde 7 on Sunday with renewed confidence and ran comfortably to a time of 45.30 with Rice recording 46.39. Kirsty was queen of Tameside! She really is a remarkable athlete. The club had two representatives at the England Under 20 Championships at Bedford. Rosie Johnson took a tumble early on in her 1500m heat but resurrected herself and qualified easily in second spot with 4.30.36. In spite of leading through the first two laps of the final she fell progressively back finishing a frustrating sixth in 4.32.4, well below her best. Similarly Amelia McLaughlin finished fourth in the High Jump with 1.74m, again well below what we know she is capable of. Fortunately both these girls have the character and talent to bounce back from this. Over at Elesmere Port for the Sport in the Port 5K Lisa Gawthorne churned out another good 20.11 time and was 3rd Female. In the accompanying 10K Aaron Jarvis ran to a plan hatched with coach Mark Bleasdale and came up with a decent 35.51 timing. Another to celebrate the end of exams was Jack Crook who was quickest in the Ormskirk Park 5K run in a personal best of 17.50. Clare Constable was also PB-ing with 19.30. In the similar race at Croxteth Park Daniel Wright joined the personal quickest with 18.43.